Royal Invitations, Ceremonial Programs, Orders of Service, Menus, Etc. Customer Complaints - Complaint Dept. 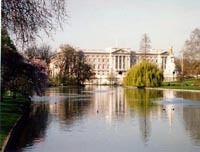 Everything Royal, one of the world's leading dealers specializing in English and Russian Royal Family commemoratives and memorabilia from Nicholas II and Alexandra, Tsar and Tsarina of Russia and Queen Victoria of England to the current Royal Family members including Her Majesty Queen Elizabeth II, H.R.H. Prince Philip, H.R.H. Queen Elizabeth the Queen Mother, H.R.H. Princess Anne, H.R.H. Princess Margaret, HRH Prince Charles, Diana, Princess of Wales , H.R.H. Prince Andrew and Sarah the Duchess of York (Fergie), their H.R.H. Prince William, H.R.H. Prince Harry and all royal relatives. 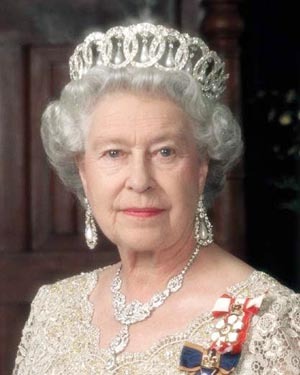 No one group, country, event or person has inspired more memorabilia or commemorative items than the British Monarchy. The English Royal Family has had more stamps, photos, medals, books, paintings, tins, china, mugs, towels and every other imaginable item manufactured after their likeness than any other event or person in history including both the Pope and John F. Kennedy. Millions of people go to England every year for no other purpose than to see Buckingham Palace and if they are lucky, Her Majesty The Queen. Millions come to the U.S. every year but not to see the President or a head of state. It's Mickey Mouse they pay to see. During Queen Elizabeth's 60 year reign we have had Presidents Eisenhower, Kennedy, Johnson, Nixon, Ford, Carter, Reagan, Bush, Clinton and Bush and Obama. Princess Diana was the most photographed and famous person in history. 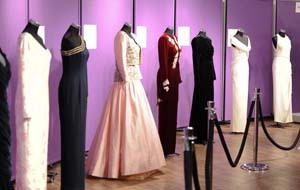 Princess Diana items along with Queen Victoria and Nicholas II of Russia are the most sought after. A signed , handwritten letter from Princess Diana sells for anywhere from $25,000.00 & up. Collecting royal commemoratives is a wonderful hobby for the beginner or the seasoned collector. You can find a Prince Charles and Princess Diana wedding match book for $1.00 or an original oil of Nicholas II for $500,000.00. There is something for everyone. Everything Royal has all manner of items available from approximately 15,000 books both new and used, signed & 1st. editions to plates, busts, dolls, cups, tins, postcards, stamps, photographs, paintings, puzzles, magazines, newspapers, videos, coins, jewelry, royal trading cards and much, much more. An incredible catalog filled with nearly everything ever written or produced on the Royal Family for the past hundred years. It is more than a catalog with every book described in detail. It is interesting, often funny and filled with rare & fascinating facts. To study the descendants of Queen Victoria , often referred to as, The Grandmother of Europe is to learn the history of Europe and more. Queen Victoria had nine children who married into the royal families of most of the heads of Europe including Greece, Russia and Denmark. WANTED: Queen Victoria wedding cake "in the original small box" with box in good-fair condition. The Everything Royal web site is is more than a list of commemoratives and memorabilia. It is a history lesson while at the same time entertaining. You'll find every book and postcard ever done on Princess Diana, sketches of Queen Elizabeth II, hundreds of newspapers and magazines covering the royal family and much more. Each page is a delightful insight into both the private and public lives of some of the most fascinating people who have ever lived. For information on the Surname name of the royal family & more, please see: The Surname of The Royal Family. Everything we have learned about our history and past is through books, letters and photographs. Hopefully, the Everything Royal web site will take you on a journey back through the history of the royal family. Included are British shopping guides, London maps and Buckingham Palace tour books to make any visit to the United Kingdom a real treat. WANTED: French newspapers dated August 31st and September 1st 1997 reporting the injury and death of the late Princess of Wales. I have received requests pertaining to buying from online auctions. Compare writing style and signatures. Common sense tells you Princess Diana did not sign 10 identical photos with all signatures being in the exact same place on each photo. Do research before buying signed letters, Christmas cards & photographs. Most items offered on the Internet by "so called reputable dealers" and on "auction sites" are described as original signatures when , in fact, they are auto pen. Thousands of cards and letters are sent yearly from Royals. Most signatures are auto pen. The best way to verify is to look with a magnifying glass for bleeding. If you take a ball point or ink pen and write on paper, there is slight bleeding to the edges from the wet ink whereas if you look at print in a book, there is no bleeding. Many people are under the impression a personal greeting assures the signatures are original. Not so. The royal family member is given already preprinted cards to which they add a personal greeting, love always, etc., above their preprinted signatures. If you look closely at a card or letter , you may find the signatures are identical. I'm sure when you sign your name, there is always a slight variation. If signatures are identical on a card or letter and in the exact same location, the signatures are most surly auto pen. Also, take into account, anyone can offer a Certificate of Authenticity. Check the seller or companies credentials. BE CAREFUL WHEN BUYING OR BIDDING ON AN ITEM FROM A SELLER OUTSIDE OF THE US. "SO-CALLED", SELF-PROCLAIMED REPUTABLE DEALERS ARE SELLING PHOTOCOPIES OF LETTERS PRINTED ON OFFICIAL ROYAL STATIONERY CLAIMING THEY ARE ORIGINALS. IF YOU WIN AN OUT OF US AUCTION, GETTING A REFUND IS NEARLY IMPOSSIBLE. ASK QUESTIONS. IS THIS A PHOTOCOPY OR FORM LETTER PRINTED ON HIS OR HER STATIONERY? LETTERS CAN BE HANDWRITTEN AND PRINTED IN DUPLICATE. KEEP ALL E-MAILS AND CORRESPONDENCE FROM THE SELLER IN CASE OF A DISPUTE. LOS ANGELES, CALIFORNIA 90048 U.S.A.